Preheat oven to 160°C. Spray a small roasting pan with non-stick cooking spray. Rub roast with olive oil, lemon juice, herbs, salt and pepper. Place in the roasting pan. Cover with foil and place in oven. Keep roast covered with foil for 2 hours, turning after 1 hour. Then remove the foil, add beef stock and brown roast for another hour. Season further if necessary. Slice meat and leave in the sauce. 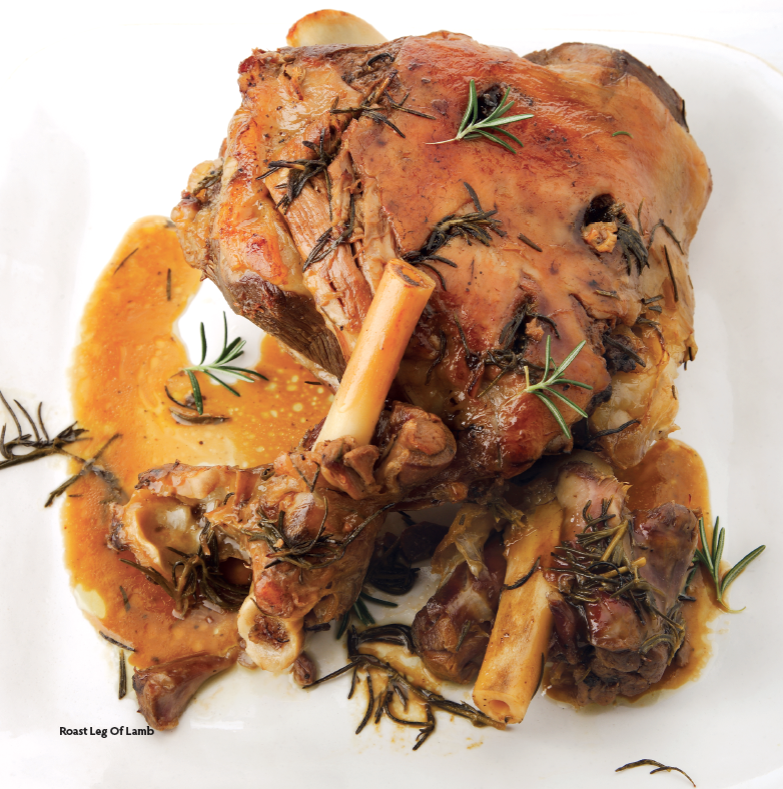 CHEF’S TIP: This recipe works very well with shoulder of lamb as well, but you might need to buy 2 as there are a lot of bones, I would also increase the lemon juice and stock. When reheating, ensure that the meat is covered with sauce so as not to dry out. Boil the potatoes until cooked but firm. Remove them from the pot. If using sweet potatoes, do not boil them. Cut into wedges. Place them in a roasting pan. Drizzle with olive oil and season with salt and pepper. Place slices of lemon in the pan around the potatoes. 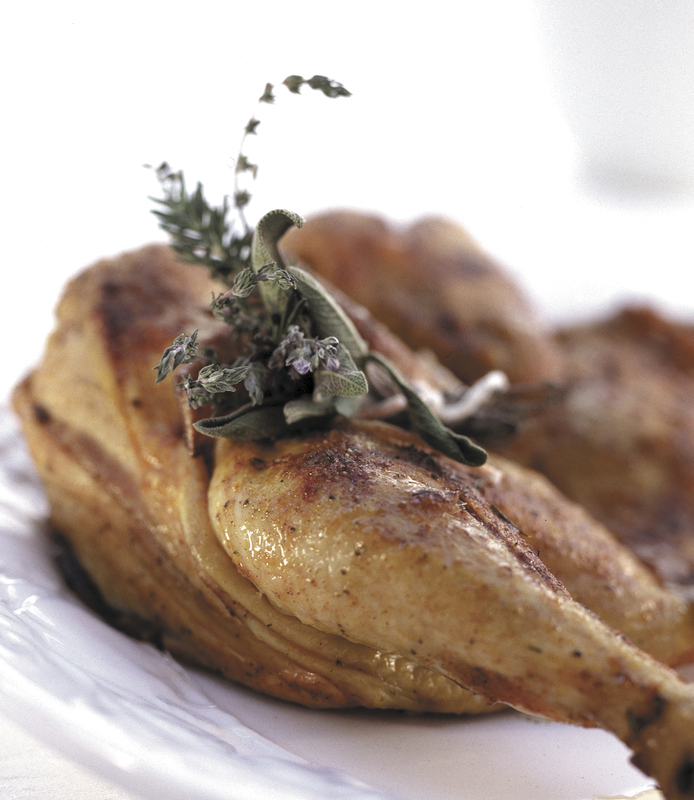 Flatten the chicken as much as you can buy pressing down with the palm of your hand. Pour the olive oil into a mixing bowl. Add the minced garlic, the rind and lemon juice from the lemon. Chop the rosemary and add to the bowl. Add salt and black pepper and any everyday seasoning salt flavour. Rub half the chicken with half the mixture. Spray a rack with non-stick spray. Place the chicken on the rack on top of the potatoes, skin side down. Roast for about 35 minutes. Turn chicken over to skin side up brush with remaining sauce and roast another 35 minutes. Turn oven to grill if necessary to brown it.